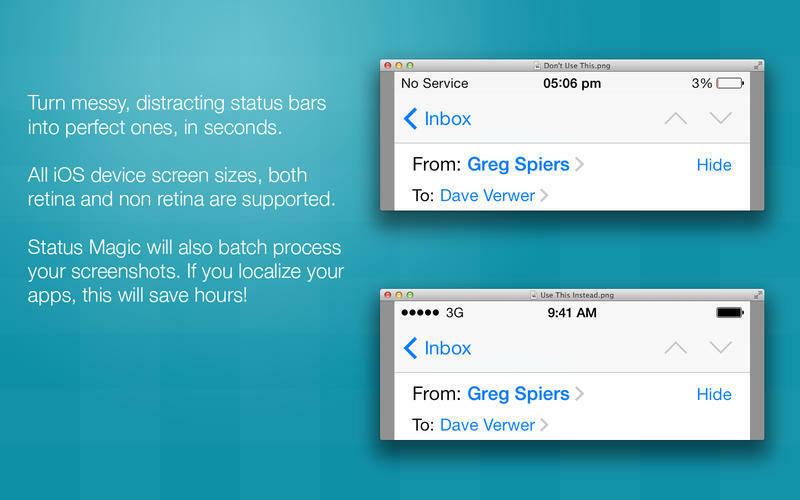 Clean up status bars in iOS screenshots. Developer website: Shiny Development Ltd.
Is there a better alternative to Status Magic? 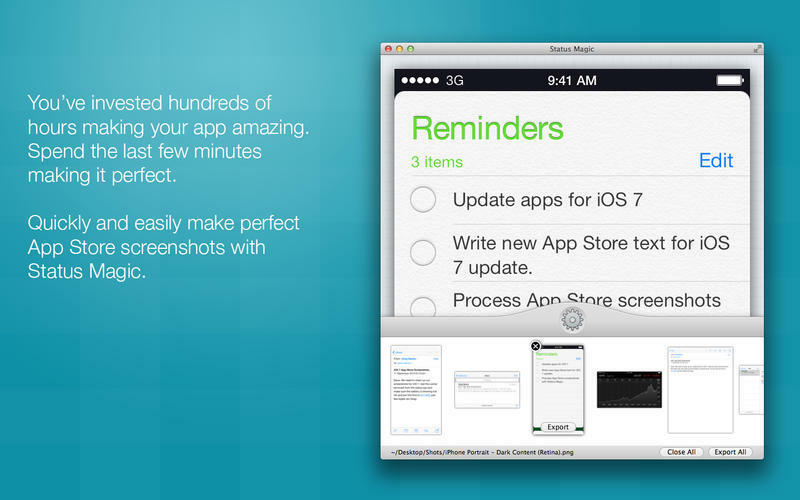 Is Status Magic really the best app in Editors category? Will Status Magic work good on macOS 10.13.4? 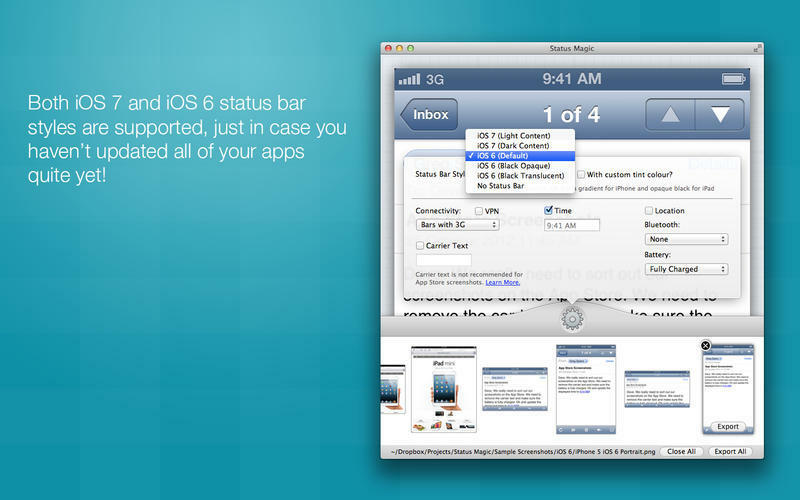 Status Magic is a tool for iOS developers that allows for the cleanup or removal of status bars in iOS screenshots. 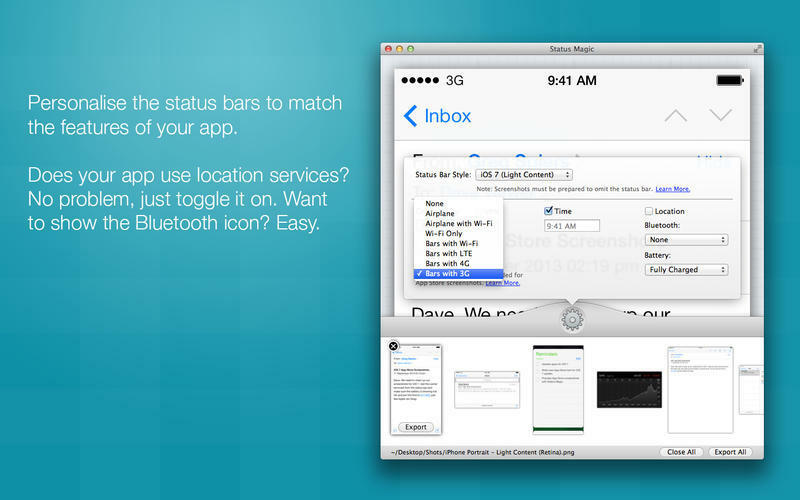 Using Status Magic, users can avoid status bar clutter or low battery indicators when including screenshots in their App Store listing. Bug Fix: Fixed crash when picking colours for the opaque background fill using the grayscale colour picker. Bug Fix: Colour values can now be directly entered into the text boxes on the colour picker without dismissing the popover in Status Magic. Status Magic needs a review. Be the first to review this app and get the discussion started! Status Magic needs a rating. Be the first to rate this app and get the discussion started!